Supplier of Duplo digitial duplicators. See this months featured products from within our extensive range of devices. 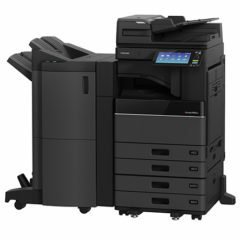 Keeping medium to large workgroups in mind, the e-STUDIO 2505ac – 5005ac series is easily integrated, customisable and solutions ready, with its open platform architecture.